These are some of the working/creative spaces on The Alley Project and the people that animate them. Young Nation staff/board, Stitching Up Detroit-ers, artists, mentors, and youth plan and create weekly on TAP all year long thanks to a variety of indoor and outdoor spaces… some activated within the past 12 months! A handful of artists got together tonight with TAP at Grace In Action to sketch and share their work. 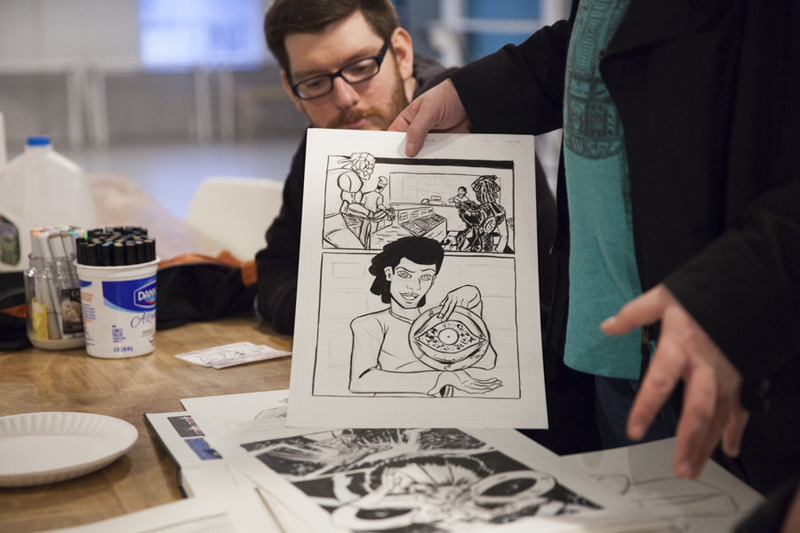 Artists brought blackbooks, markers, pencils, and other materials to create new works as they went through what they’re currently working on with each other. Featured in the photographs are works by Kevin “Oni” Ferguson and James Easterly. 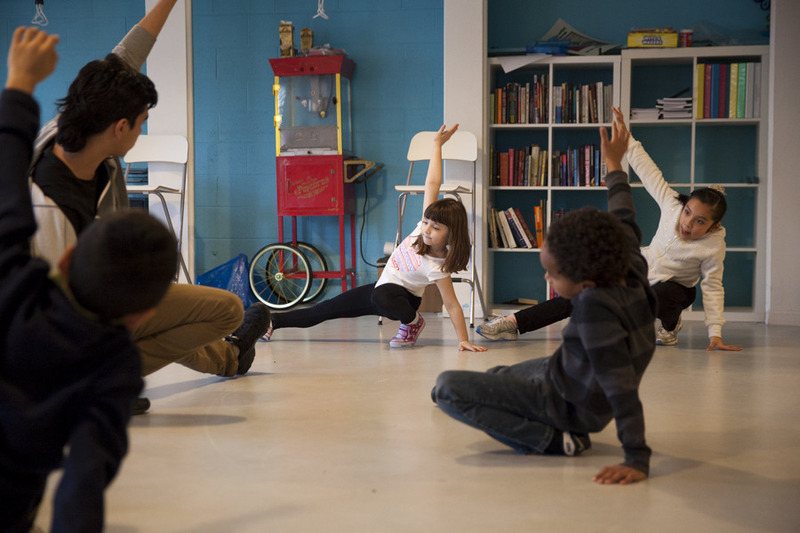 The Motor City Street Dance Academy, Young Nation, and Grace In Action have teamed up to offer a 12-week program for elementary students on The Alley Project at GIA every Monday evening. 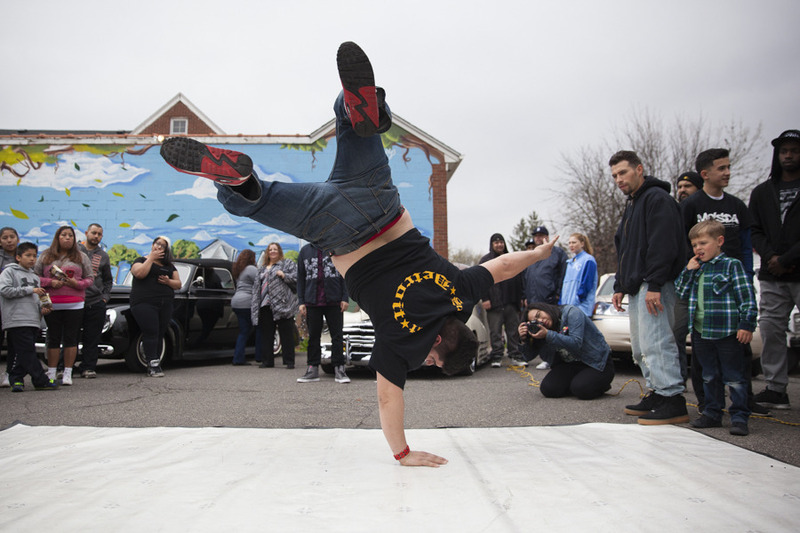 The MCDSA holds workshops across the Southwest Detroit community to teach elementary-aged youth the basics of break dance. 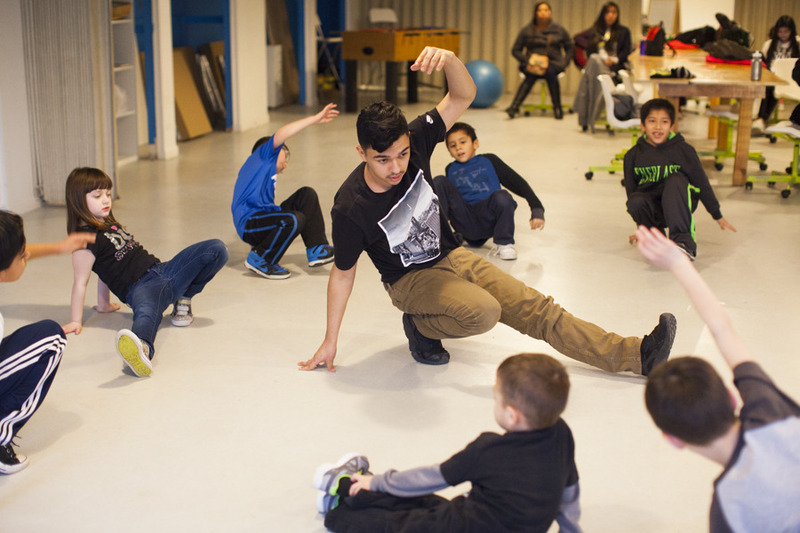 Young break dancers who have come up through Motor City Rockerz mentor younger youth as an expression of the MCRz “each one teach one” philosophy. The Motor City Rockerz created the MCSDA to help rebuild hip hop’s reputation locally as being a positive, impactful, creative outlet for all people. 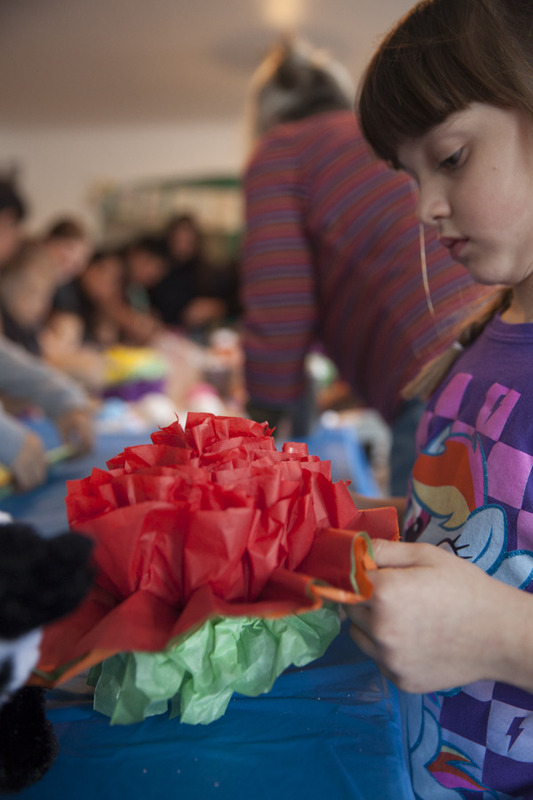 Each year Young Nation and The Alley Project hosts an annual Angel’s Night event. The event takes place the night before Halloween which has become a city-wide rally of community involvement over the years. 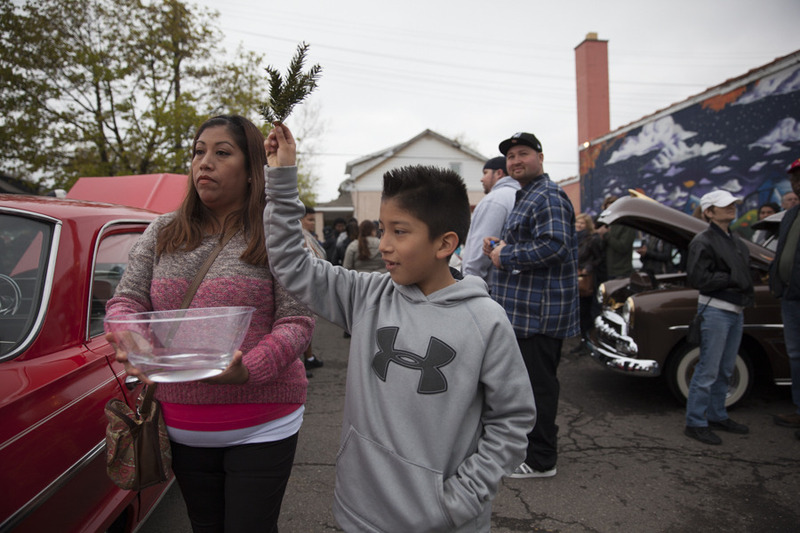 This follows years of Detroit’s struggle with an epidemic of crime and arson on Devil’s Night, the eve of Halloween. A plague that peaked in the mid-80′s led to efforts in the 90′s to organize and relieve the city’s neighborhoods of the horror associated with Devil’s Night. TAP’s annual Angel’s Night celebrations merge themes of social justice, civic engagement, mentoring and honoring those who came before us, and children and family. 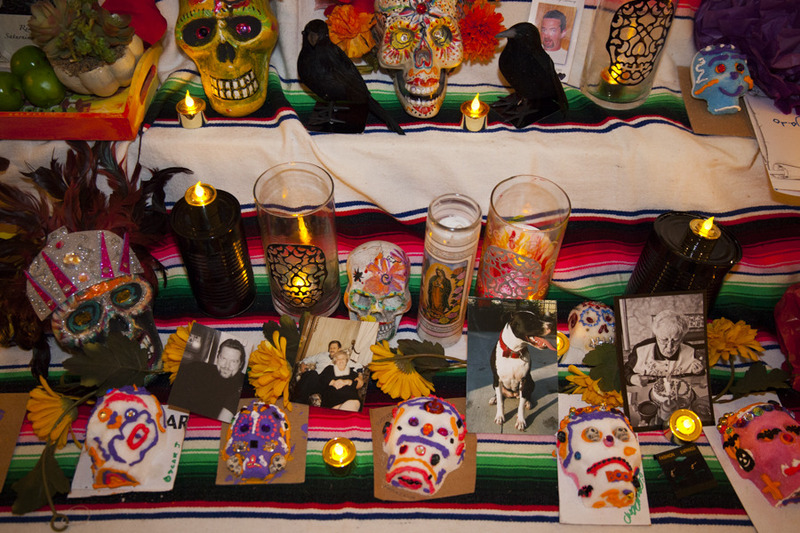 These themes acknowledge the season of celebration and collaboration in the neighborhood during a week that hosts Angel’s Night, Halloween, All Saints Day, and Dia de Los Muertos. This year TAP’s Angel’s Night celebration coincided with Grace In Action’s Open Mic night and so were merged for an evening of food, entertainment, and family fun. 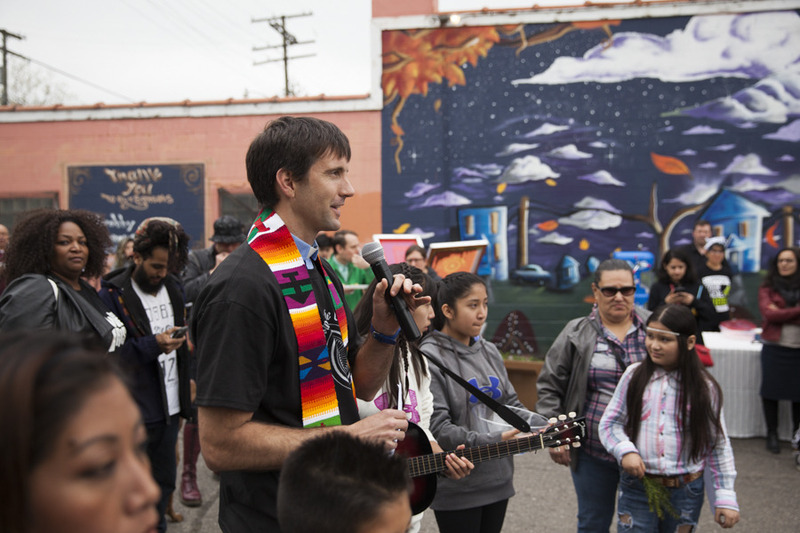 A blessing was offered for the newly completed Healing Wall mural on the broad side of the building, located on Lawndale at Lane. Young Nation and Grace In Action’s constituents came together as their youth, artists, neighbors, families, acts and local entrepreneurs shared spaces and made memories together in the tradition of the themes above. The Healing Wall at Grace In Action is a mural commemorating the transition of the building from a funeral home to a community center. It was created through a series of interactions with neighbors and artists and explores themes of death, grief, life, healing, seasons, and community. 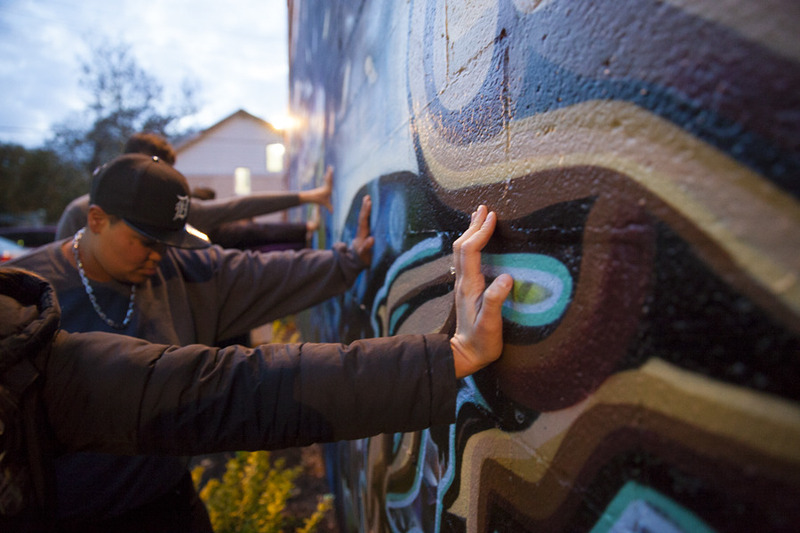 Local artist-activist Sacramento Knoxx facilitated the mural development process with support from GIA and Young Nation and their artists. The mural is the newest addition to The Alley Project’s series of alley murals and serves to bookend TAP from GIA to Studio Luevanos and the lots. Freddy and Phil work on the mural together with apprentices while youth and neighbors drop in during several warm Fall days this week. The programming (community outreach, artists mentoring young artists, etc) and artistry that went in to this mural were made possible by our generous sponsors Krabby Painters servicing Metro Detroit with local Southwest Detroit employees and by El Asador restaurant right around the corner on Springwells! 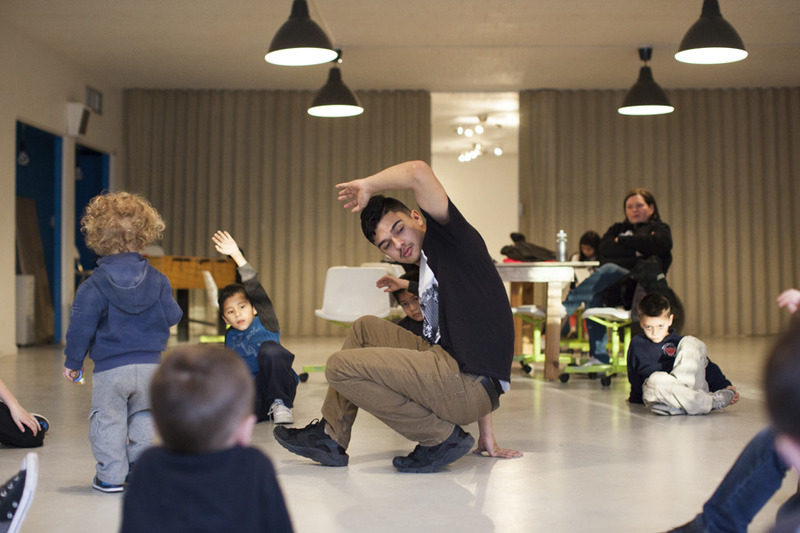 For the first time ever TAP is enjoying regular access to indoor programming space! 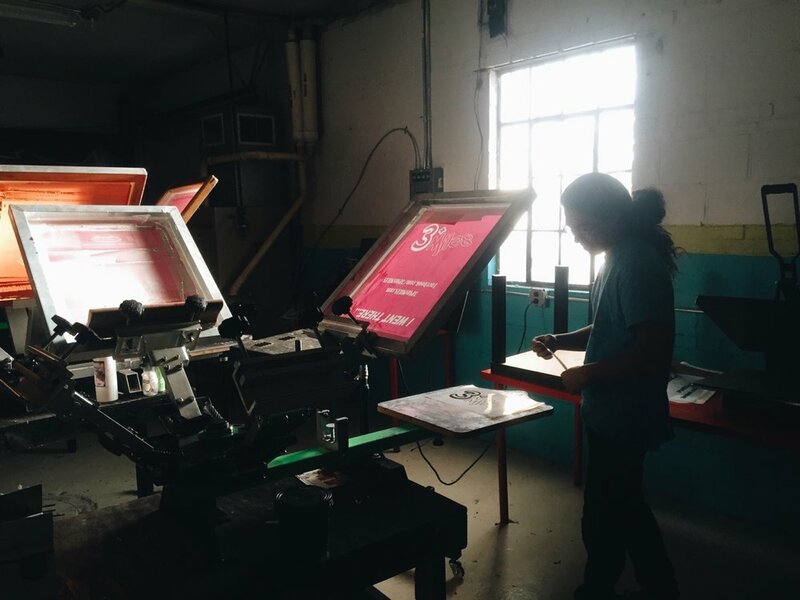 Young Nation is now sharing office and common space with our partner Grace In Action at their new building while our building is in development. GIA is an excited partner organization within TAP and recently acquired and renovated a former funeral home that was donated to their organization. 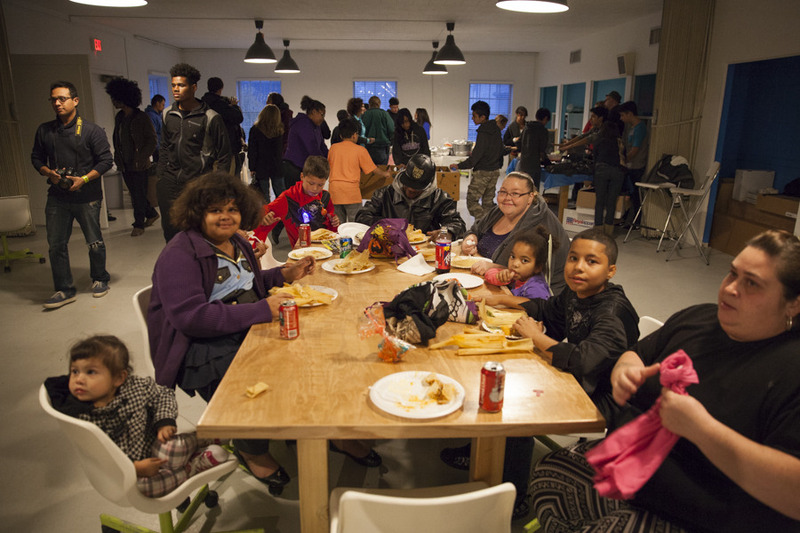 The space is now actively celebrating life and community together with youth, neighbors, elders, artists, and more. The center, located at 1725 Lawndale, bookends The Alley Project at one end with the lots and Studio Luevanos at the other end. 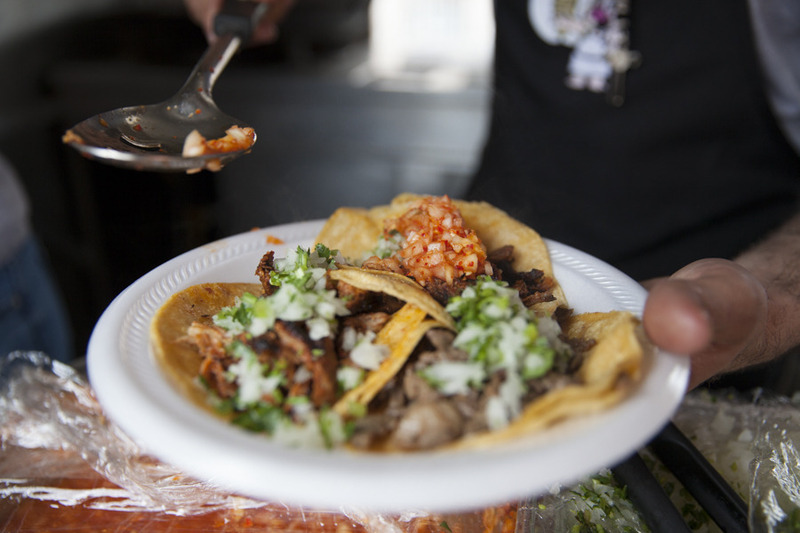 Soon GIA and Young Nation will be organizing efforts to better connect the various stops along The Alley Project to each other including signage, mural installations, and new partnerships with neighbors and artists. 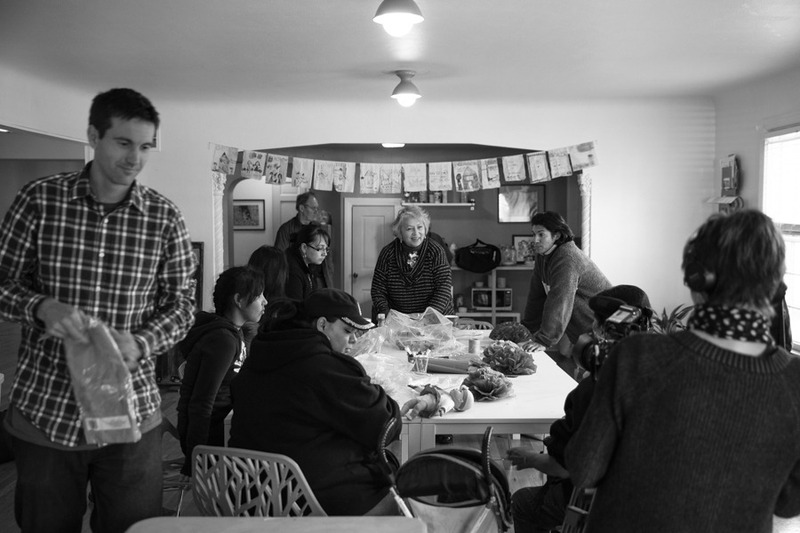 While sharing space the opportunity for increased collaboration, coordination, and cooperation will present many new options for youth to engage creatively with each other and with elders. Today Mary Luevanos led the table in creating sugar skulls in preparation for Dia de Los Muertos, only a couple weeks away. The molds were made today and next week they will be decorated. GIA’s collectives were also gathering for Stitching Up Detroit, Radical Productions, and music. Everyone was able to experience a little of what the others had going on.